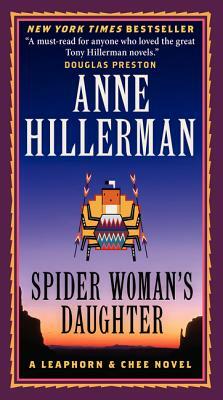 Anne Hillerman, the talented daughter of bestselling author Tony Hillerman, continues his popular Leaphorn and Chee series with Spider Woman’s Daughter, a Navajo Country mystery, filled with captivating lore, startling suspense, bold new characters, vivid color, and rich Southwestern atmosphere. Bernie and Chee discover that a cold case involving his former boss and partner, retired Inspector Joe Leaphorn, may hold the key. Digging into the old investigation, husband and wife find themselves inching closer to the truth...and closer to a killer determined to prevent justice from taking its course.